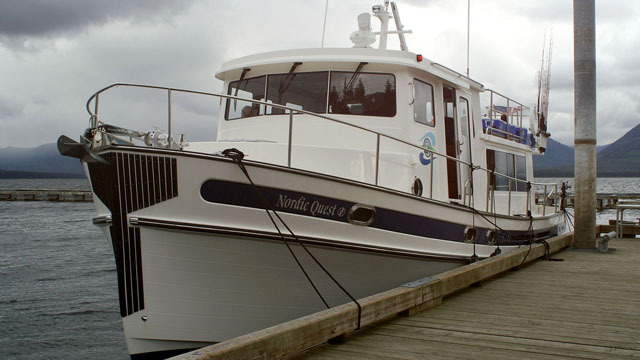 As the owner of the Nordic Quest, a 42-foot Nordic Tug that was launched in April 2011, I want to share information about interesting places I have visited throughout Southeast Alaska, some of the history of its places, what can be seen at different times of the year, great places to fish, or just plain explore like I have done for over twenty five years. The site will have information for boaters – good anchorages and poor, places that will really make your trip special. This site also has a great photo gallery and numerous videos to enjoy. SE Alaska is a unique area of the United States and much of it is only accessible by boat. So enjoy the features of this site and come back often as there will always be something new in our blogs and special features to share with our readers whether they are planning their first trip or another trip with their own vessel.